News relating to self-confessed “tidying-up guru” Marie Kondo is continuing to clutter social media news feeds. “I’m all Marie Kondo-ed out. 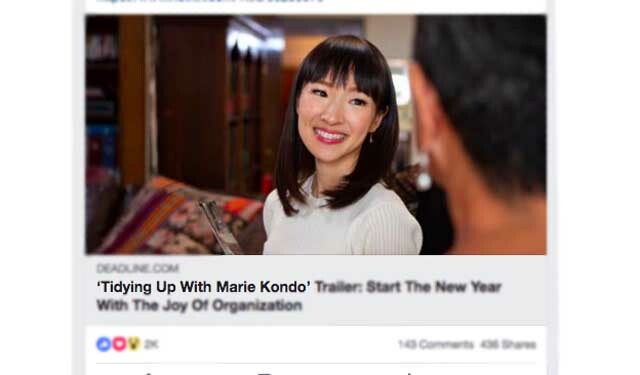 Who the hell is Marie Kondo anyway?” says internet-user Joffra Khost. Kondo has been causing severe congestion in Khost’s social media feeds for the past month. According to Elle magazine, Marie Kondo has made about US$34.8 million over the past financial year telling people to clean their rooms.